Siegfried Sassoon (1886-1967) was born into a wealthy Anglo-Jewish family and his early life was comfortable and leisured, dominated by sports and country pursuits. However, his poetic leanings were present even during this carefree period: the young Siegfried loved books and literature and said his only desire in life was to be a poet. Prior to the outbreak of war he published several small verse collections privately, the most accomplished of which was a parody of Masefield called 'The Daffodil Murderer'. This was the man - light-hearted, gentle, privileged and with a love of the natural world - who enlisted on the first day of the Great War. At first he remained optimistic about the campaign but everything changed with his experience of the disastrous carnage of the Somme offensive of 1916. His conduct won him the Military Cross (an honour he later renounced) but for this essentially innocent man the squalor and misery of the trenches were as explosive as any shell and transformed his writing completely. These events led him to denounce the continuation of the war as futile in his polemic A Soldier's Declaration which was printed in The Times. Narrowly avoiding a court martial through the intervention of fellow Welch Fusilier and poet, Robert Graves, Sassoon was sent to Craiglockhart Hospital for the shell-shocked near Edinburgh. It was here he met Wilfred Owen and the two men developed a brief, intense and mutually influential friendship. 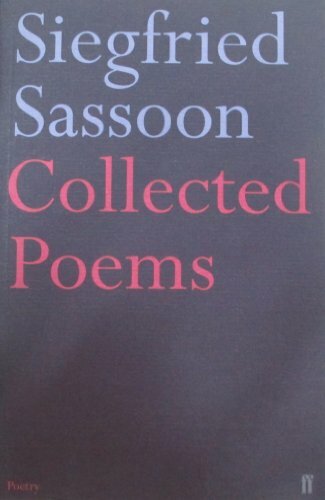 Sassoon returned to action in solidarity with his fellow soldiers and survived the War. He continued to write poetry in his later life and to produce volumes of his autobiography, The Complete Memoirs of George Sherston. Although Sassoon's later poetry is accomplished and sometimes very powerful, it's for the sting of his war poems that he is best remembered. Unlike Owen's more heightened lyrical style, Sassoon is adept at catching the rhythms and slang of the ordinary soldiers he served with, whilst the deep empathy underlying the words raises the poems above plain satire. However, his Archive-featured poem, 'The Dug-Out', takes a more oblique approach, describing a premonition Sassoon had the night before his best friend was killed. Writing two years later, Sassoon recalls with vivid tenderness his foreboding as he watches his sleeping companion. Short, as many of his poems are, these eight lines capture the moment in a brief flare like "the candle's guttering gold". This recording was made in the 1950s by Dennis Silk, to whom we are indebted for allowing us to use it. He was a young man at the time of his first meeting with Sassoon and became a close friend for the last thirteen years of the poet's life. It was made at Heytesbury House in Wiltshire in the old library where Sassoon practically lived. Initially reluctant to be recorded, Sassoon eventually allowed "the infernal machine" (as he called it) to tape him reading from his original notebooks some of the most famous war poems of our time. The voice at the end of this poem is that of Dennis Silk movingly describing how important these sessions were for Sassoon as he "unloaded World War One" onto the younger man. 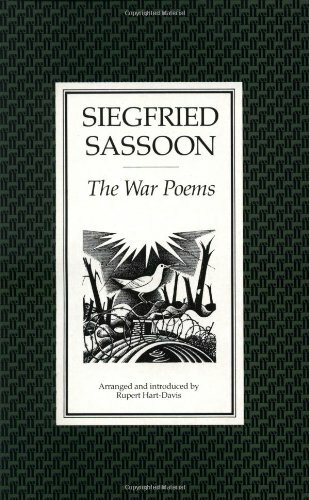 It's clear that forty years after the events this poem recalls, Sassoon was still haunted by his time on the Western Front and the fact of his survival. By contrast, the other poem featured here is Sassoon's famous celebration of the signing of the Armistice on 11th November 1918 which finally brought the carnage to an end. In a rare recording found in the BBC Archives, Sassoon's reading echoes the exhilaration of this, perhaps his most famous, poem ending on the beautiful statement: "The singing will never be done", as apt a metaphor as any for the way in which poetry keeps the human spirit alive.